Part 1 of this 2-part podcast series can be found here. In this episode we now get into some of the specifics of how to cut off MAP violators and unauthorized sellers. If the MAP violator is an authorized seller, then the solution is simple. Get in touch with them and tell them to honor the MAP pricing agreement they signed, or they will lose their wholesale account. If the MAP violator is Amazon, then either raise your wholesale price on them or stop selling to them. But in most cases it’s not that simple, which means you’re dealing with an unauthorized 3rd party seller. Who are these unauthorized 3rd party resellers? In Amazon’s eyes, the unauthorized seller has every right to be there, unless they’re breaking a law or violating Amazon policy. Remember, Amazon doesn’t care about your distribution chain or pricing issues…unless a violation is taking place. If you’re having a problem with unauthorized sellers on Amazon, you have a supply chain problem. Enforce sales channel and MAP pricing policies, and cut off any retailer or distributor who does not adhere. If needed, use serial numbers or batch IDs and then make test purchases on Amazon to identify the source of the inventory. Look into what is happening with customer returns, shelf pulls, sales reps’ unneeded samples, etc. Is there a retailer or distributor who has an employee stealing inventory? Is a retailer or distributor secretly selling inventory at a low price to resellers? Are large disparities in your pricing, either according to volume or to time of year, allowing the opportunity for resellers to buy low and sell high? Where applicable, you could refuse to offer follow-up customer service after the sale unless your product was purchased from an approved seller. Similar to the warranty issue, you can report this to Amazon as selling a product not as described. Conduct test buys of your product from the unauthorized seller(s). If you find anything different whatsoever…altered packaging, altered or removed UPCs or serial numbers, missing accessories, missing instruction manuals, etc. then you can make a case that these constitute material difference in the product and are therefore a violation of your trademark. Report these violations to Amazon. If your product has any special handling or storage requirements whatsoever, let Amazon know that you cannot guarantee the safety of products not sold by authorized sellers, because there is no way to know whether the product is being handled and stored properly. This will often be enough to get Amazon to gate the product(s) in question, meaning only sellers you authorize (or Amazon authorizes) are allowed to sell the product. If you have had any kind of authenticity issues with your brand at any time, then have an attorney get in touch with Amazon’s legal team, and they will often be able to get Amazon to gate your brand and only allow approved sellers. 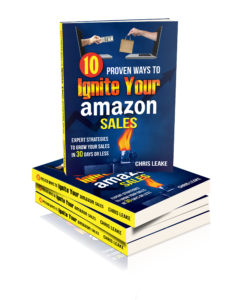 There is no foolproof way to keep all unauthorized sellers off of Amazon at all times, but in many cases you can almost completely eradicate the problem by following the advice outlined in these two podcast episodes. If you create pressure both through the supply chain as well as directly on the unauthorized Amazon seller(s), that is enough in most cases for them to decide it’s not worth selling your brand and to look for greener pastures. Get your policies and procedures in place and clearly communicated. Remember – an ounce of prevention is worth a pound of cure, so be proactive. Continue to monitor your Amazon presence – you can do all the work in the world cleaning things up, but quickly end up with a mess again if you don’t continue to monitor it. Need help dealing with MAP violators or unauthorized sellers? How about with brand registry, catalog cleanup, or other Amazon issues? Contact us or apply to become a client, we’re here to help!